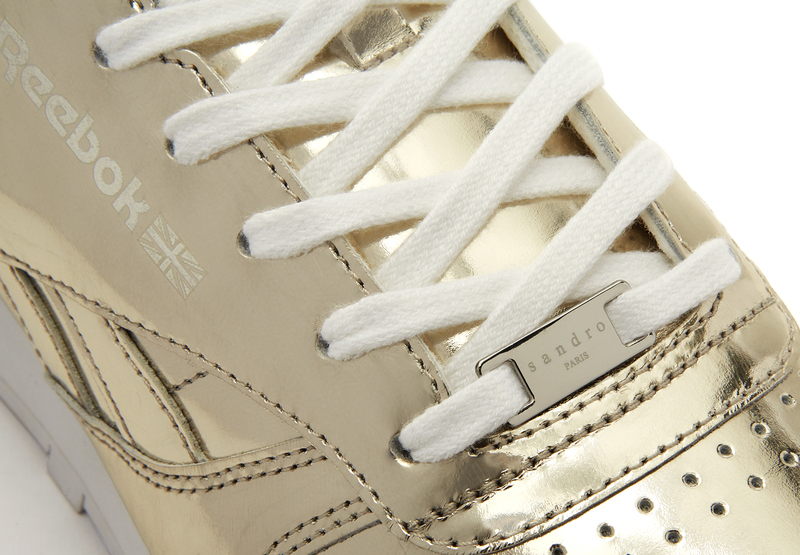 Reebok has partnered up with French fashion brand Sandro for a second time, realising a Classics collection for AW15. Taking on a contemporary, minimalist style, this limited edition capsule collection uses the iconic Classic Leather silhouette and the traditional Club C court. Renowned for its clean and refined aesthetic, Sandro’s focus on revisiting classic designs with a contemporary twist again proves to be the perfect partner to Reebok Classic, as the collection combines an elegant Parisian aesthetic with versatile, luxe streetwear staples. 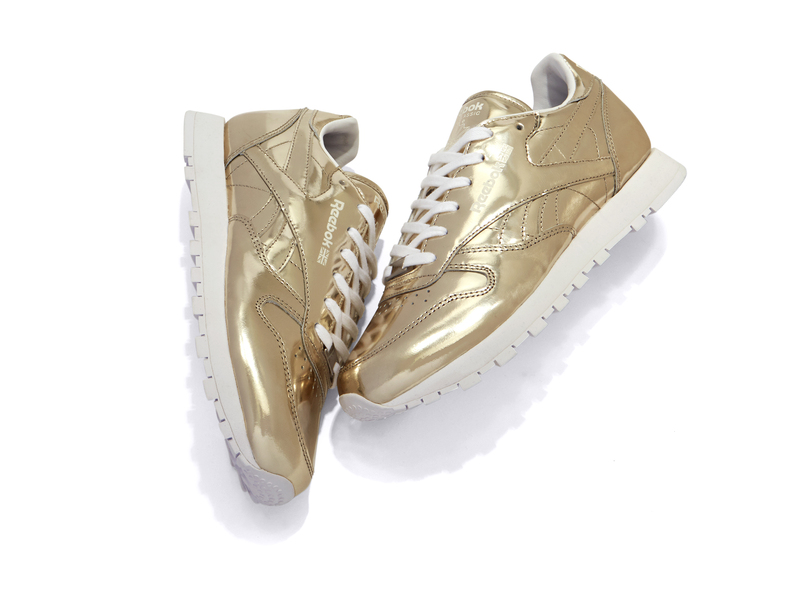 The Reebok’s Classic women’s leather receives a luxe treatment with its premium, Italian leather upper, updated with a futuristic mirrored finish in a glossy golden sheen, while white laces, interior and outsole provide a fresh contrast. 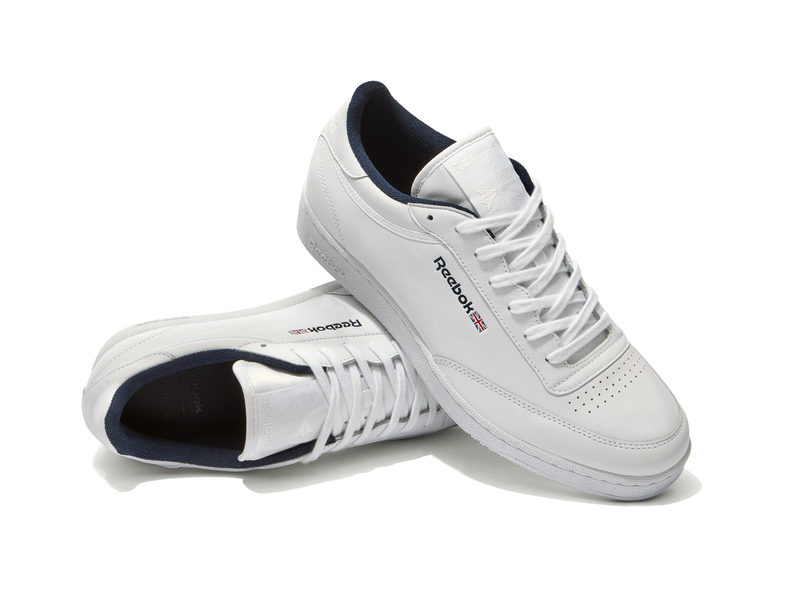 This Club C court men’s shoe is presented in solid black or white mono and takes its simplistic, streamlined look a step further, stripping back the Reebok lines for an unfussy, effortlessly timeless sneaker. The Reebok x Sandro AW15 collection will be available online and in selected stores on Monday 7th September.